“We’ve all heard it over and over and over again, but food is medicine,” says Felicia Cocotzin Ruiz, a chef, traditional healer and food activist in the American Southwest. “For generations, we just didn’t have the food (or the knowledge) to administer the medicine.” But thanks to people like Ruiz, that’s starting to change. Ruiz is now attempting to distribute that medicine across the Southwest in the belly of a big, rumbly 2004 Freightliner Sport van that she calls the Mobile Unit for Training and Nutrition—or the MUTN (pronounced “mutton”). Sometimes with a team but more often on her own, Felicia drives the MUTN to Native communities in the Navajo Nation and all over the Four Corners area to give free lessons in foraging and cooking Indigenous foods. This knowledge, which she has gathered over many years of working as a professional chef and healer, is now helping these communities feel more empowered to grow, gather, cook, and eat the foods that sustained and healed their ancestors for generations—instead of the readily available commodity foods and fast foods that have become such a huge part of the modern Native American diet in that part of the country. 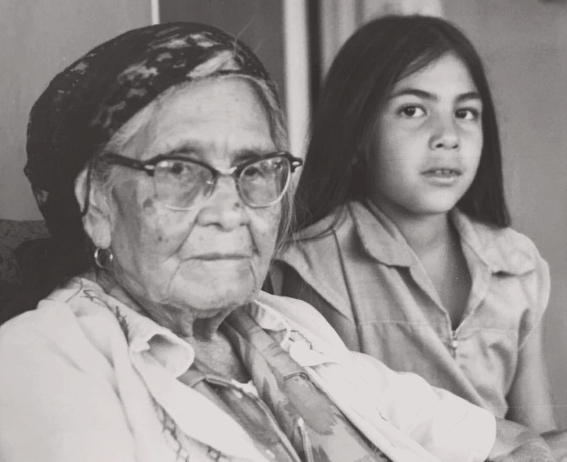 Ruiz, who is of Xicana and Tewa heritage, lives in Phoenix, Arizona, where she practices culinary medicine. This is a unique branch of a practice called curanderismo: a broad range of traditional healing methods based on indigenous medicine from Central America. Ruiz’s practice involves using healing herbs, traditional recipes for salves and tonics, energy work, and prayer. She credits her grandmother as the origin of her interest in traditional healing—she was a partera, a traditional midwife, and “she would mix up herbs and little potions for people when they weren’t feeling well,” says Ruiz. She learned even more about herbalism and holistic healing when she attended massage school, and that cumulative knowledge has informed Ruiz’s life in and outside of the kitchen. Although she worked as a cook in restaurants for many years, and even had her own restaurant, Ruiz only really began cooking Indigenous foods around 2011. During this time, Ruiz reconnected with the healing education she had from her family and from her schooling, and began incorporating this knowledge into her home cooking. She started cooking with more ingredients indigenous to the Southwest and learning about traditional Navajo/Diné cuisine. After spending most of her adult life as a vegetarian, she began occasionally eating elk, rabbit and other meat traditionally hunted by Native Americans. “That kind of meat is usually hunted by a family friend or family member. So you know it wasn’t pumped up with hormones” Ruiz tells me. By incorporating other native ingredients like wild spinach, amaranth and tepary beans into her recipes, she learned how rich and nutritious a diet based on traditional cooking could be. Being so close to the Navajo Nation means that Ruiz is plugged into the issues most impacting Navajo communities like poverty, diet-related health problems and loss of tradition. Diabetes and heart disease in particular have become huge problems in the Navajo Nation, due in large part to the steady loss of native foods and the knowledge around harvesting, hunting and preparing them—and their replacement with processed and fast foods. When European colonists came to the Americas, began uprooting Native Americans from their land and imposed their own religions and economic systems, indigenous ways of eating were in the line of fire as well. We don’t often think of this period of colonization as genocide by starvation, but the hunting to near extinction of the American buffalo and the introduction of European crops to the continent were direct ways of robbing Indigenous peoples of their subsistence. Many people also point to the introduction of the government rations during the atrocious Navajo Long Walk as one of the origins of the modern, unhealthy, Westernized Navajo diet. These rations—which consisted of white flour, lard, sugar, salt and a few canned goods, all of which were unfamiliar ingredients to the Navajo people—inspired the creation of frybread, now a staple food throughout Navajo communities, and one that has become a kind of cultural touchstone in talking about the health issues that particularly face Indigenous communities. The four horsemen of poverty, forced tribal relocation, destruction of traditional foods, and introduction of Western foods combined to set a truly dismal standard for nutrition in the Navajo Nation. As a result of generations of this systemic racism, many tribal lands are now considered “food deserts”: places where access to nutritious food—grocery stores and farmers’ markets—is severely limited. But food activists want to change people’s vocabulary on this issue. Travis McKenzie, a community gardener and public school teacher in New Mexico, says, “I don’t really like to call it a food desert, because a desert is a natural environment. There’s life in the desert, there’s balance … This is a food apartheid, really. This is an oppressive force. It’s not nature that did this.” Increasingly, people are becoming aware of the colonial roots of these food scarcity issues, and how reclaiming old practices can help to solve them. Ruiz is now teaching some of these old food practices on her road trips across the Southwest. In the MUTN, she gives lessons on food dehydration and preparing dishes made with traditional indigenous ingredients, among other crucial and basic cooking skills. During many of these trips she also partners with an elder from the tribe to go on a guided foraging walk with students, where they can learn what wild, uncultivated plants in their area are edible and medicinal. Ruiz’s work, along with that of other food sovereignty activists, has gone a long way towards encouraging tribal communities to make changes. “Even in (the past) five years there’s such a big difference that I can see,” Ruiz says. She’s excited about the different restaurants, community farms, and organizations that have arisen to address food insecurity in the Navajo Nation. More and more chefs and food bloggers like Alana Yazzie of “The Fancy Navajo” are getting vocal about the place of Native American cuisine in the contemporary American food scene. Concrete policy steps have been taken, too: In 2014 the Healthy Diné Nation Act was signed into law, which ensures that a portion of the tax revenue from the sale of junk food items goes towards community health projects like farmers markets, community gardens, and public exercise equipment. Indigenous chefs like Sean Sherman (AKA the Sioux Chef) and Brit Reed are grabbing headlines with cutting-edge dishes made with traditional Indigenous ingredients. Ruiz has recently been featured in a spate of articles and newsy videos, and even mainstream food publications like Bon Appétit are publishing more stories about contemporary Indigenous food. “Their editors are really starting to see this movement and want to learn more about it,” she says. She hopes that this increased media presence will encourage more people to learn about Native American food and support the restaurants, farms and businesses that are reclaiming those foods. For the people whose foodways have long been thought of as extinct this spotlight may help to both preserve their traditional foodways and allow them the space to grow and thrive. Robin Babb writes about the intersections of food, wellness, and environmental and social issues and works as the Food and Drink Editor at Weekly Alibi in Albuquerque, New Mexico. She spends her free time hiking in the Sandia Mountains and scrutinizing expensive health trends.